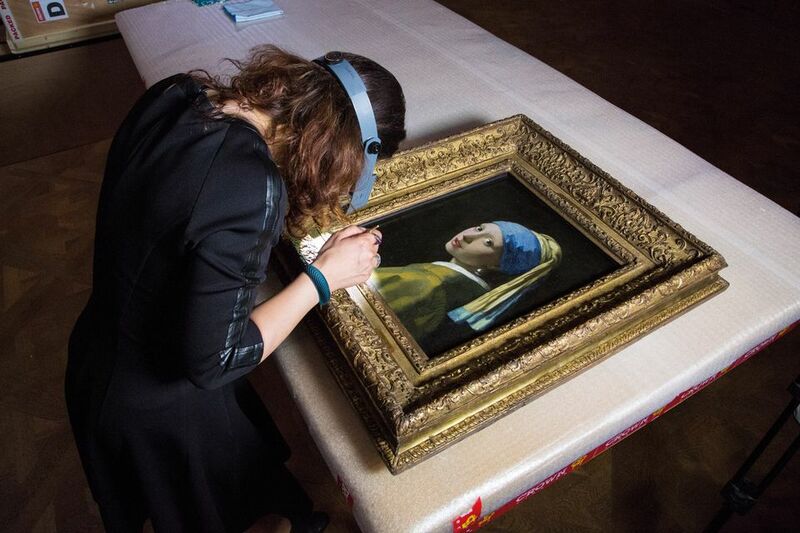 The Mauritshuis in the Hague wants to learn more about one of its most beloved works, Vermeer’s Girl with a Pearl Earring (around 1665), and is asking the public to get involved. Visitors to the Dutch museum can watch the painting being analysed in a glass-fronted studio constructed within a gallery specially for The Girl in the Spotlight project. A team of international specialists had begun to study the picture for 24 hours a day for two weeks using the latest non-invasive techniques. The goal is to learn more about Vermeer’s materials and techniques.